Boracay Island is just one out of more than 7000 Islands in the Philippines and belongs to the group of the Visaya Islands. It is about 6 km long and only 1 km wide but stands for some of the most beautiful and famous beaches in the Philippine archipelago. Tourists from all over the world come to Boracay for their most important weeks of the year. 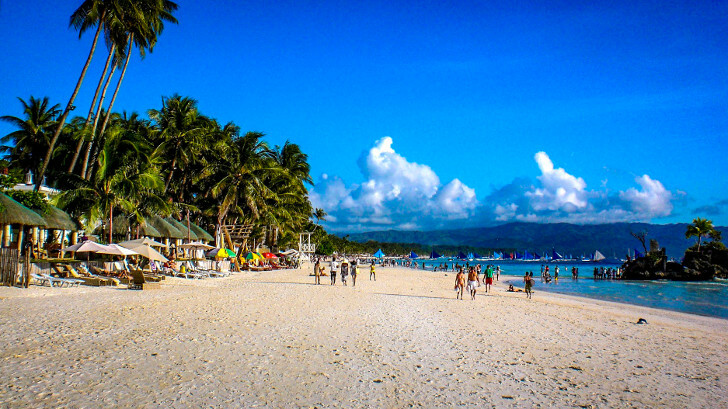 Boracay reopened on 26 October 2018 following a six-month closure for tourism. In the meantime most of the hotels of the island did reopen and are ready for booking. In March 2019 the demolishing of up to 10 (illegal) buildings along the beach front around Station 1 has started. The famous White Beach on Boracay's West Coast, is probably the most beautiful beach on the island. It was even selected by several international travel magazines as one of the 10 most beautiful beaches in the world. Boracay is also a paradise for SCUBA Divers and Snorkelers. There are plenty of dive sites around the island, for beginners as well as for advanced divers. Most of the dive sites are just in front of White Beach, so it takes only a few minutes to get there. Beside diving, there are several other sports and activities offered along the beach front: How about kite surfing, water ski, para sailing, sunset sailing or a ride on a banana boat? It's all there for you to try out. This web site is your online guide for Boracay and aims to provide you with important information about the island. Holiday on Boracay, what are you waiting for...?